The timeless appeal of the Dorchester collection makes it one of the best sellers from Heritage. 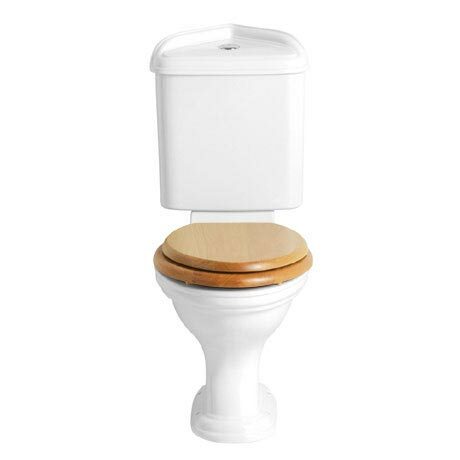 This Close Coupled Corner WC & Cistern is constructed from high grade vitreous china ensuring a quality finish and long lasting durability. Comes complete with a dual flush chrome push button and cistern fittings. Does exactly what it says although for a heritage (old fashioned range) it should have a push handle rather than a button.